"I bet Bubbles would be the best record store owner in the world." Joe Panama from instrumental cavaliers Overhead, The Albatross fills The G-Man in on what vinyl and record store day means to him. What is your favourite record store and where is it located? Do I have to pick a favourite? That's really difficult. I guess the shops I frequent most regularly are Tower Records, All City and, most recently, Elastic Witch. They're all within walking distance of each other in Dublin. Are there any specific happy memories that you have of this store? I always make a fool of myself in record shops, I ask the wrong questions and get sneered at by staff. It's grand though, I like to think that's the prerequisite to working in any sort of music shop, the right to sneer. Are there any particular albums recommended to you by record store staff that have influenced your music over the years (or that you have simply loved and adored)? 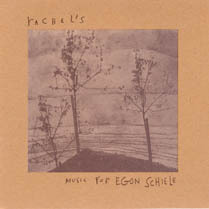 I remember being recommended an album called Music For Egon Schiele by a band called Rachels by Jack in Tower Records. 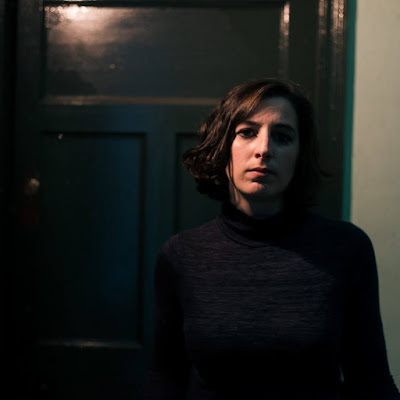 It's a really lovely, gentle neo classical thing with loads of piano and strings. I would never have come across it were it not put into my hand. Has a record store (i.e. the staff) helped you in your musical career/path in anyway over the years? If so, how? Like I mentioned above, people like Jack in Tower or Gib in Elastic Witch are really keen to talk about the music they sell. That really helps a lot when you go in to a shop and you're not quite sure what you're looking for. People that know what they're talking about that don't mind talking about it, that's what it comes down to! What does Record Store Day mean for you? RSD, for me, is another excuse to spend way more than I can afford on records. This will be the fifth annual record store day. Any fond memories from previous Record Store Days you would like to share? I remember picking up James Vincent McMorrow's album [Early In The Morning] instead of the live Villagers album and feeling dumb for doing so because that record flew out of the shop. I could have picked up the other one anyway, no regrets though really, amazing album. Have you had a chance to look at the special limited editions that are set to be released especially for RSD12? Is there any record you will be trying to claim come April 21st? I want to know the people by name who are picking up the Katy Perry record so I can steer clear of their houses. A pox on Katy Perry, a pox. Oh, I might try pick up that Minus The Bear 7", I'm quite fond of them sometimes. Oh here, I just saw that there's a new Sigur Ros* 10" out that day. There goes my week. 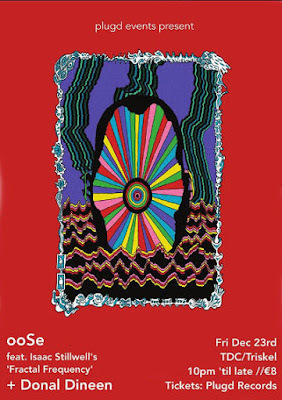 Did you hear Feist and Mastodon are to release a split 7" with Feist covering Mastodon and vice versa? That will be all kinds of odd, it's going to be brilliant, or terrible, or so weird that you'll be compelled to listened to it once, and once only. That is a terrible opinion, I'm sorry. If you were to release a split 7" with any contemporary artist/band with who would it be and what song would you cover of theirs? If you had to describe the perfect record store in 3 words what would they be? If you were to own a record store one day, what would you call it? If I owned a record store, I'd only stock copies of Hybrid Theory by Linkin Park and I'd call it 'Conkys'. I bet Bubbles from Trailer Park Boys would be the best record store owner in the world.